Today, on being the right size. The University of Houston’s College of Engineering presents this series about the machines that make our civilization run, and the people whose ingenuity created them. “On Being the Right Size” is one of Haldane’s most referenced essays. In it, he asks why mice are small and whales are big. More generally, he asks, is size an accident, or is there a good reason? It’s easy to imagine a human twice the normal height. Just scale things up so that everything remains in the same proportion. But things aren’t quite that easy. Our new double-height colossus wouldn’t weigh twice as much, but eight times as much. That’s because the volume of a body goes up with the cube of its linear dimensions. Now, the leg bones would weigh eight times as much, too. But their ability to support weight doesn’t depend on their overall size. It depends on their cross sectional area. And this only increases fourfold. Make the human body too big and it will be crushed under its own weight. We don’t see giant insects because of the way they breathe. Insects don’t have lungs. Instead, they have a system of holes and tubes that allow oxygen to reach the cells inside their bodies. 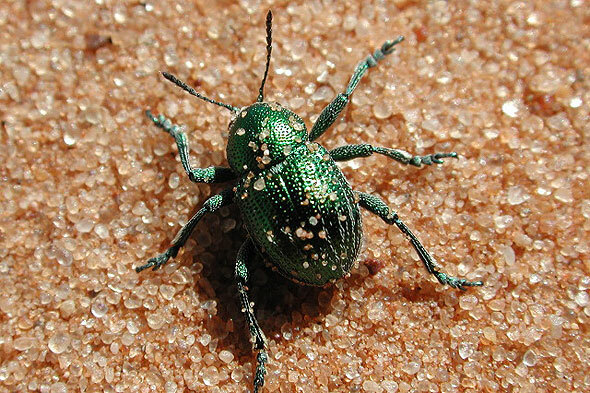 But this passive system doesn’t work for anything much larger than the size of today’s insects. 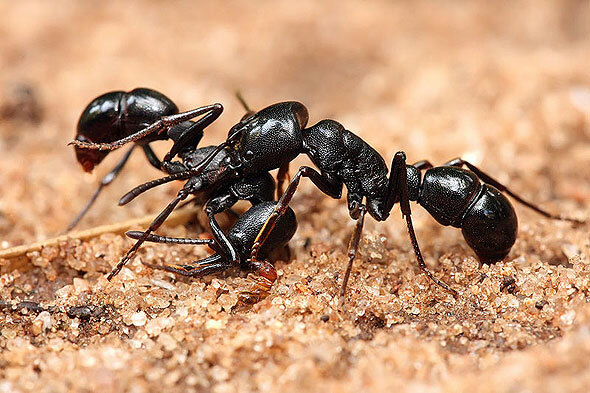 They’ve gotten about as big as they can, and we can sleep without fear that a two-hundred pound ant will someday come crashing through the door. Haldane explains why birds are the size of birds, why small animals can’t live in frozen regions, and why large animals don’t have enormous eyes. And we’re told that “to the biologist, socialism [is] largely … a problem of size.” Socialism? Yes, the “great rascal of science” wasn’t afraid of mixing a little politics with his science. Haldane believed in socialism, but not big socialism. “I find it no easier to picture a completely socialized British Empire,” he said, “… than [to picture] an elephant turning somersaults or a hippopotamus jumping a hedge.” That’s quite a picture. For a related episode, see MEMBERS IN TENSION. J. B. S. Haldane. From the Wikipedia Web site: http://en.wikipedia.org/wiki/J._B._S._Haldane. Accessed October 5, 2010. J. 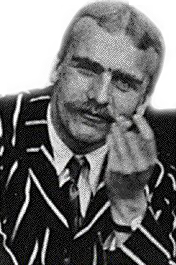 B. S. Haldane. From the Unofficial Stephen J. Gould Web site: http://www.stephenjaygould.org/people/john_haldane.html. Accessed October 5, 2010. J. B. S. Haldane. "On Being the Right Size." Harper’s Magazine. March, 1926. See also http://irl.cs.ucla.edu/papers/right-size.html. Accessed October 5, 2010.